It’s been eighteen years since we last saw the Legend nameplate in Acura showrooms here in North America, but in Japan it’s still very much alive as Honda’s flagship sedan. And now the Japanese automaker has revealed the latest generation. 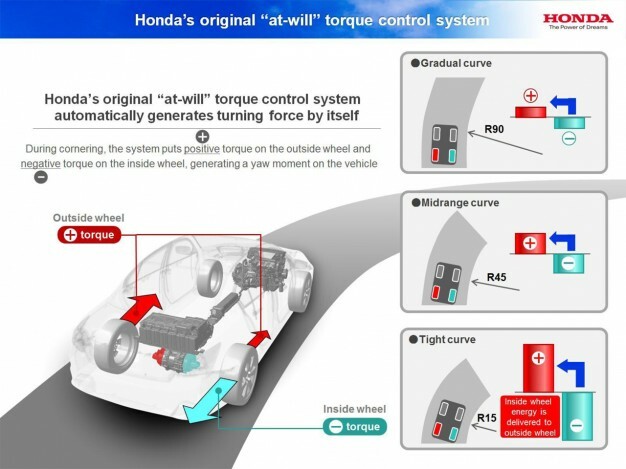 Last December, Honda invited a bunch of automotive journalists that were attending the Tokyo Motor Show to test out its latest evolution of the Super Handling – All Wheel Drive or SH-AWD system. At the time it was known as the Electric SH-AWD but has now evolved into what Honda now calls Sport Hybrid SH-AWD or uhh, SH-SH-AWD. It is the top tier of a trio of new hybrid systems that Honda is unleashing to the world from its R&D labs. They have developed a one-motor, two-motor and three-motor hybrid system. The SH-SH-AWD system we’re talking about here is the three-motor system. The SH-SH-AWD combines a 3.5L V6 making 310hp and 265 lb/ft of torque with a 40hp electric motor mated to a 7-speed DCT system (yeah I know right? Honda and DCT!). In addition each rear wheel is attached to a 20hp electric motor, both of which can be independently controlled. This is where the second “SH” comes in. By using independent motors for each of the rear wheels, torque vectoring can be applied to greatly increase the handling ability of the vehicle in a corner. In some situations energy can even be taken from one motor (the inside wheel) through regenerative braking to supply power to the motor powering the outside wheel causing the rear end of the car to pull around reducing the tendency of the vehicle to understeer. This is where the first “SH” comes from. Honda is looking to use hybrid technology to not only improve fuel economy but it’s putting the technology to make its vehicles more fun to drive. The Sport Hybrid SH-AWD system see its first duty in a production vehicle early next year with the introduction of the Acura RLX. 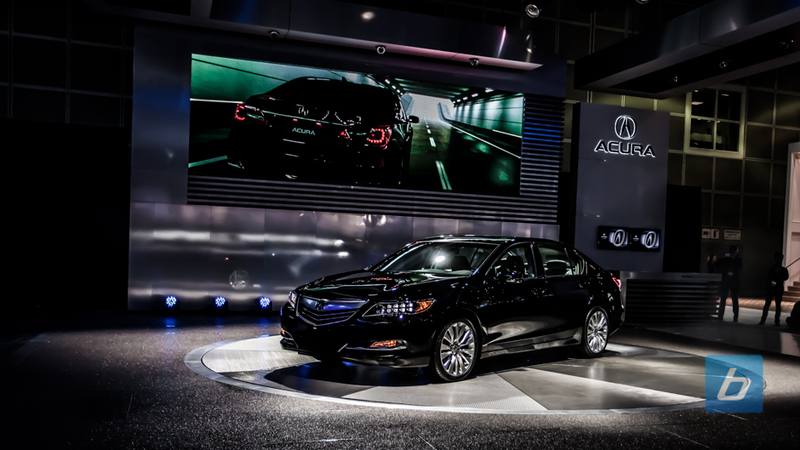 The RLX will be replacing the Acura’s RL flagship sedan which has been on a steady sales decline since 2005. The production version of the RLX will be unveiled at the LA Auto Show later this month. Another vehicle that will utilize the SH-SH-AWD system is the future Acura NSX–most recently shown off at SEMA. However it will have some obvious differences compared to the setup in the RLX. The gasoline engine will drive the rear wheels while electric motors will propel the front wheels. Acura may also opt to use more powerful electric motors to drive the NSX Concept.